This is the first climb that Renegade do in their Balmoral Hills Ride. 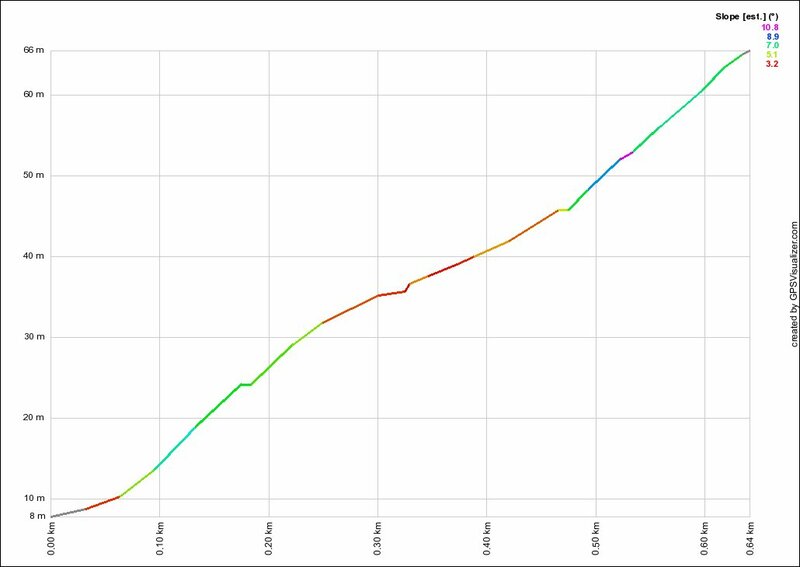 Like most of the climbs in Balmoral, it isn't particular long, but it makes up for it by being steeper. It starts off fairly steep and doesn't really ease up anywhere, if anything it only gets steeper near the top. Be careful at the top, as it is necessary to turn right onto Wolsely Rd, while it is only local traffic on this road, there may still be the odd car. This climb is even more fun in the wet due to the concrete surface in some places. It isn't possible to get traction out of a road tyre when standing in the pedals, so it is necessary to sit down to turn the cranks. 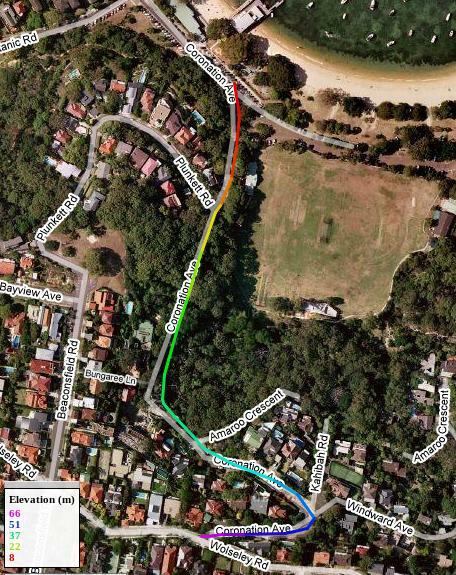 Once onto Wolsely Rd, follow it North until meeting Beaconsfield Rd, turn left, and then left again onto Middle Head Rd. This corner is the regroup point.